Migraine headaches are common. Within the literature, they are considered the most common of all primary headaches, with one year prevalence rates reported as high as 12%. Women are three times more likely to experience migraine pain across the course of their lifetime than men. In fact, some women experience chronic migraine pain associated with their menstrual cycle. Prodromal phase: This phase can occur up to a day prior to the onset of acute migraine pain. During this phase, individuals may notice a change in energy levels or mood, irritability, excessive thirst, unusual food cravings, frequent yawning, feelings of drowsiness, and frequent urges to use the restroom. Aura phase: During this phase, many individuals will experience neurological symptoms, or an aura, that are linked to an imminent migraine episode. Auras, typically occurring 20 minutes to an hour before the pain of the migraine headache begins, are described as visual disturbances, such as metallic lines within one’s field of vision; however, they may also be described as unusual sensory, motor, or speech disturbances. Not all migraine suffers report auras prior to the onset of a migraine episode. In fact, most individuals do not report auras. Attack phase: During this phase, individuals may experience intense and severe pain, either on one or both sides of the head, pain that is described as pulsating within the head, throbbing sensations, sensitivity to light, sounds and odors, nausea, vomiting, blurred vision, lightheadedness, and sometimes fainting. Without treatment, this phase typically lasts four to 72 hours. Postdrome phase: This phase occurs after the migraine episode has passed. Individuals in this phase report feeling fatigued and drained. Some individuals have reported mild feelings of euphoria. While many headaches and episodes of migraine pain are not related to a more serious disease or illness, it is important that you monitor your symptoms closely, as some episodes of headache pain may be an indication of a more serious condition, such as a brain tumor or aneurysm. Given that the brain itself does not have pain receptors (thus, it is not sensitive to pain), headaches generally are caused by an irritation of the many structures surrounding the brain, including the cranium, muscles, nerves, arteries, veins, subcutaneous tissue, eyes, ears, sinuses, and mucous membranes. Currently, the exact cause of migraine headaches is unclear. Historically, migraine pain was linked with vascular changes (i.e., narrowing and dilating blood vessels on the surface of the brain). More recently, scientists believe that genetically linked abnormalities within certain areas of the brain account for an individual’s predisposition to migraine pain. 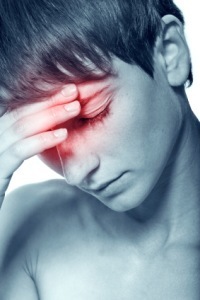 Migraine headaches are quite common and are associated with a number of underlying conditions. Indeed, determining the source of the headache can be difficult, as many of the associated symptoms overlap. Patients can expect their physician to ask a number of questions regarding their medical history, their family history, along with a detailed description of the onset of the current episode. Typically, headache patients are diagnosed from their reported history only. It is quite rare for a physical exam to provide the physician with additional information that would assist in determining a diagnosis. Some of the most common triggers of migraine headaches are emotional stress, sensitivities to preservatives or other chemicals in certain food and beverages, caffeine, change in weather conditions, menstruation, tension, fatigue or lack of sleep, skipping meals, or changes in sleep patterns. 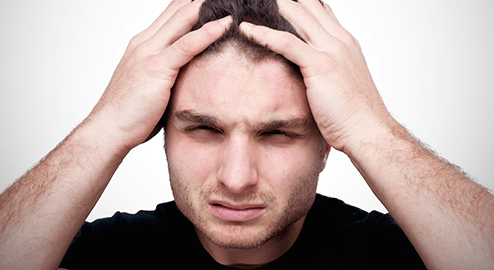 There are many treatments available for migraine headaches. Indeed, for pain that is not severe or debilitating, it is recommended that patients attempt conservative, at-home treatments first to manage the pain. More specific recommendations are often made, depending on the type of headache. For the majority of headaches experienced, over-the-counter non-steroidal anti-inflammatory drugs (NSAIDs) are widely utilized for effective pain management. For individuals experiencing chronic migraine headache pain, symptom tracking is recommended. Individuals are asked to track their headaches, recording information such as time of onset, degree of pain, time to pain’s highest severity, length of pain episode, associated symptoms, patient behavior immediately prior to onset, and atypical situations that may have occurred. This will help the patient identify triggers, in order to initiate a more preventative treatment plan for managing headaches. Biofeedback training has received support for helping individuals manage their headache pain. This non-pharmacological technique assists patients with recognizing symptoms and their own personal migraine triggers in order to help them learn skills to control the impact of these factors. During this training, individuals are taught relaxation and coping skills, thereby allowing the patient to gain some control over their own symptoms of pain. In many instances, patients are able to use the skills learned from biofeedback training to stop a migraine attack before it reaches the full attack phase. Patients with chronic and severe headache pain may wish to consider alternate therapeutic methods for pain relief. 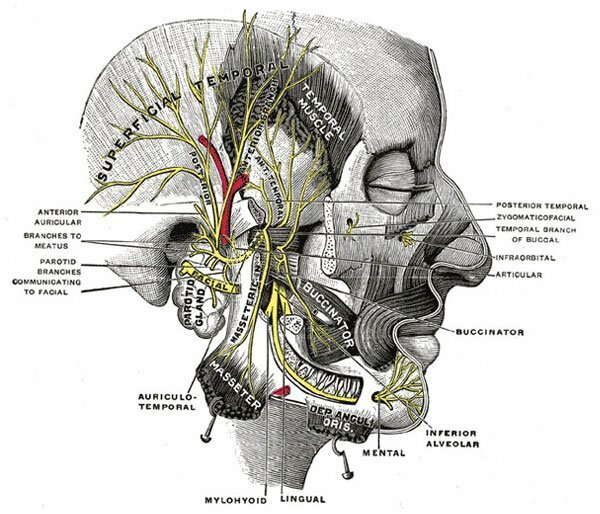 Indeed, there are a number of treatments available, including cervical steroid injections, occipital nerve block, sphenopalatine ganglion block, and radiofrequency ablation. It is recommended that you speak with your physician when considering these intervention options. Migraine headaches are common, affecting approximately 12% of the population. Migraine headache episodes are characterized by severe headache pain associated with throbbing in one area of the head, nausea, vomiting, and sensory sensitivities. It is unknown what causes migraine headaches, though some scientists have found links to hereditary brain abnormalities. While most conditions underlying headache pain are not serious, some migraine episodes may be suggestive of a more serious medical condition. It is important to monitor your symptoms and contact your doctor right away should you experience any of these symptoms along with your migraine pain. A number of treatment options are available and are determined based on the specific characteristics of the headache. It is recommended that you speak with your physician to develop an appropriate course of treatment. At Nevada Pain our goal is to relieve your migraine pain and improve function to increase your quality of life. Give us a call today at 702-912-4100. Holland S, Silberstein SD, Freitag F, Dodick DW, Argoff C, Ashman E, Quality Standard Subcommittee of the American Academy of Neurology and the American Headache Society. Evidence-based guideline update: NSAIDs and other complementary treatments for episodic migraine prevention in adults: Report of the Quality Standards Subcommittee of the American Academy of Neurology and the American Headache Society. Neurology. 2012;78(17):1346-53. Rapoport AM. Acute treatment of migraine: Established and emerging therapies. Headache. 2012;52(Suppl2):60-4. Rapoport AM. The therapeutic future in headache. Neurol Sci. 2012;33(Suppl 1):S119-25. Sacco S, Ricci S, Carolei A. Migraine and vascular diseases: A review of the evidence and potential implications for management. Cephalalgia. 2012;32(10):785-95. Shapiro RE. Preventive Treatment of Migraine. Headache. 2012;52(Suppl 2):65-9. Silberstein SD. Treatment recommendations for migraine. Nat Clin Pract Neurol. 2008;4(9):482-9. Silberstein SD, Holland S, Freitag F, Dodick DW, Argoff C, Ashman E, Quality Standards Subcommittee of the American Academy of Neurology and the American Headache Society. Evidence-based guideline update: Pharmacologic treatment for episodic migraine prevention in adults: Report of the Quality Standards Subcommittee of the American Academy of Neurology and the American Headache Society. Neurology. 2012;78(17):1337-45.